If you've every tried to apply heat transfer vinyl to a onesie you know there can be challenges for getting a good stick. Those using an iron actually have an easier time getting the HTV to melt into the fabric than heat press users because the iron has a smaller surface area. 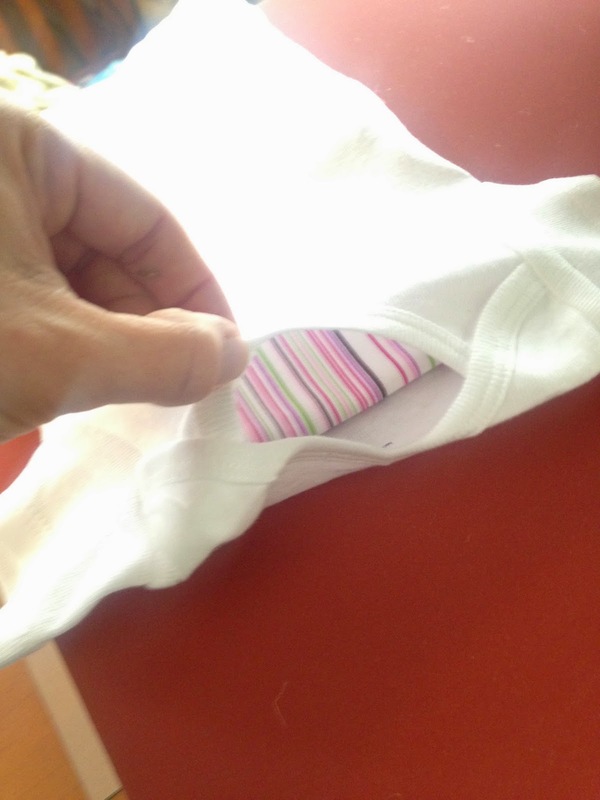 The problem for heat press users is caused by all those overlapping areas, thick neck seams, and snaps which prevent the top plate from getting a tight seal on the front of the onesie. 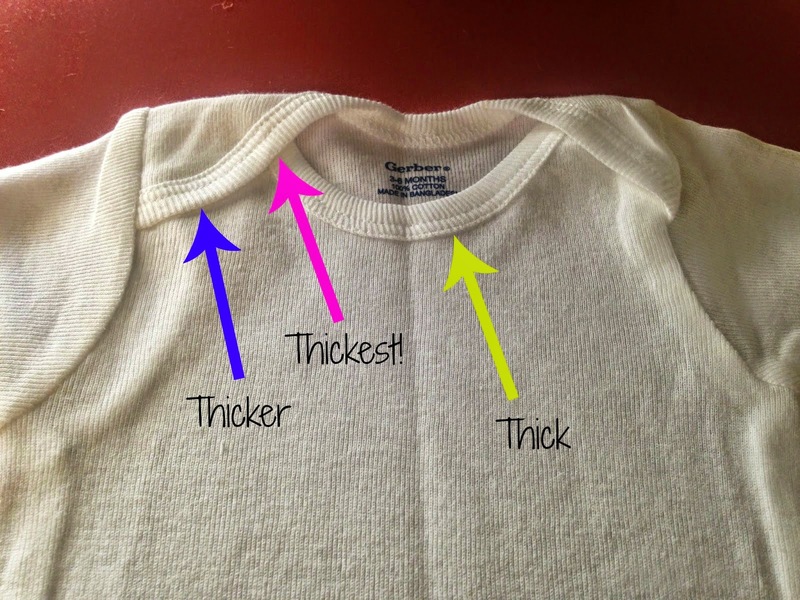 The neck seam and shoulder laps are raised up which causes a gap. To get around this and get a better seal when applying HTV to onesies, you need to raise up the fabric in the chest area so it's even with - or higher - than the neck seam. I keep a piece of cotton material, folded over several times, handy and place it inside every onesie before I apply the HTV. 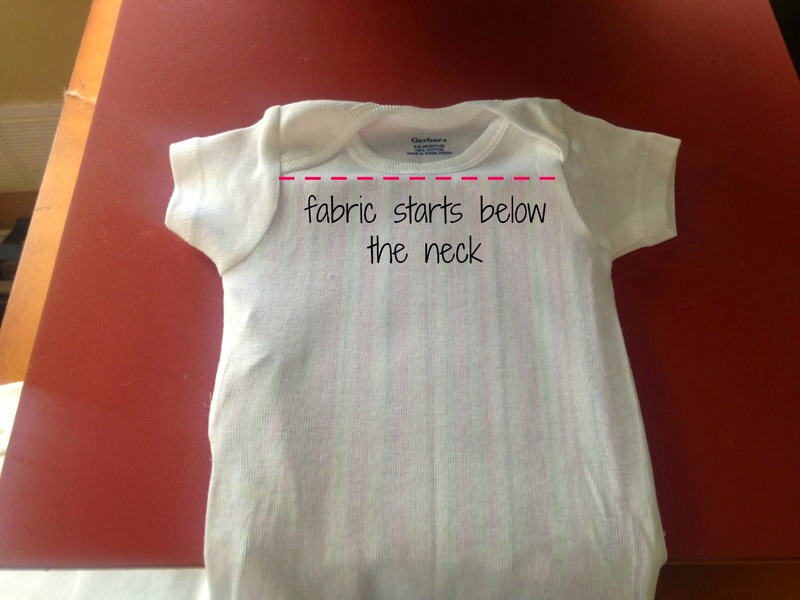 The edge of the fabric should start right below the neck seam. This puffs up the chest-area of the onesie so it's more even with the thick seams thus making a more even surface for the heat press top plate to close on. Many Silhouette users swear by a mouse pad for the same purpose. 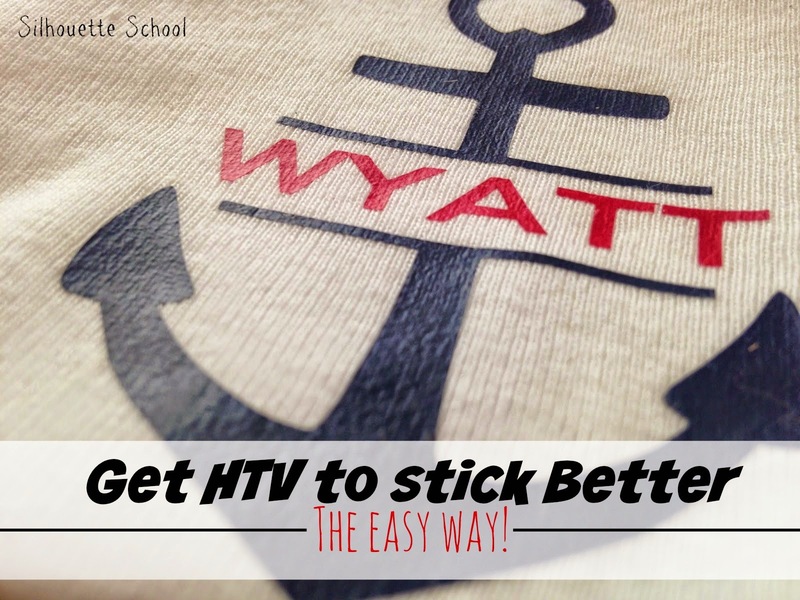 Just be careful that you are only using the mouse pad method on onesies and shirts that are large enough to fit the pad without the material stretching while you apply the HTV. Either way you do it - the heat press will now get a better seal and provide more pressure so the HTV will really melt into the fabric. I also found that if I hang the top part off of the pad I get a flat surface. Thank you for all you do for us. I use foam (various sizes) covered in a Teflon material. Made especially for pressing HTM which really grabs the heat without burning and makes a great seal. I also use the Teflon pillows. I have used many different things but finding the right thickness for that particular item was a pain. The Teflon pillows flatten as you press the item and equalizes the area. They are fantastic! I use a silicone baking mat. It works perfectly. You can also adjust the size by cutting it.